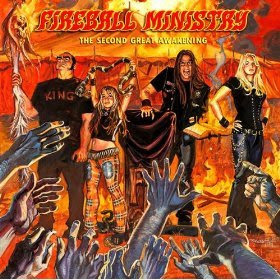 Hall of the Mountain King: Review: Fireball Ministry, "The Second Great Awakening"
Review: Fireball Ministry, "The Second Great Awakening"
If Black Sabbath had come from Birmingham, Ala., instead of Birmingham, England, it might have sounded a little like Fireball Ministry. With all the hype surrounding the band, I'm not sure what I expected, but it certainly wasn't this Sabbath-laced slab of stoner rock. That's not a bad thing, though. The album grows on me more with every listen. The sound is hard to classify. The title track and intro reminds me a little of Judas Priest's "The Hellion," and the Sabbath influence is all over the record, but the album itself isn't entirely metal. There's a lot of classic 1970s rock influence here, particularly on the power harmonies. 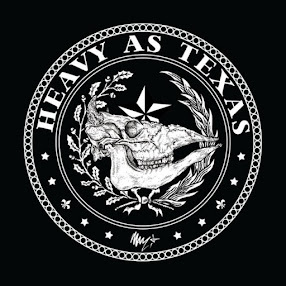 The band provides a solid base that alternates between a brick wall of power chord sound and Southern-fried sludge grooves that are surprising since the group calls California home. The key ingredient that sets the band apart is singer James Rota, whose voice falls somewhere between an early Ozzy Osbourne and Glenn Danzig. These days, it's refreshing to hear a metal vocalist that actually sings, and it takes the listener a bit by surprise. Add to that Fireball Ministry's quirky melodies on songs like "Master of None" - the album's hottest track - "In the Mourning" and "He Who Kills," and you've got a recipe for success. Fireball Ministry are primed for an explosion. If this album doesn't make them one of the the biggest bands in rock, something is seriously wrong. Get "The Second Great Awakening."